EU leaders on Friday were seeking answers from Britain before they consider delaying the UK’s scheduled exit date from the European Union. Legally, Britain will exit from the bloc on March 29 unless EU leaders unanimously grant Britain an extension — an issue that is likely to dominate an EU summit in Brussels next week. Prime Minister Theresa May’s deal has remained deadlocked in Parliament, mostly due to disagreement over the so-called Irish “backstop,” a measure to avoid barriers at the border between Northern Ireland and the Republic of Ireland, an EU member state. 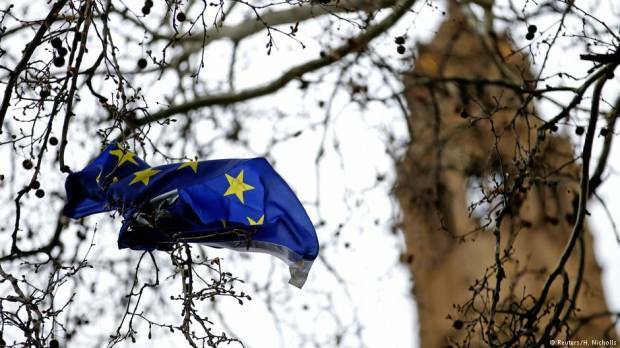 UK lawmakers overwhelmingly backed a government motion on Thursday to ask for a three-month delay to Britain’s departure from the EU. The length of any possible delay depends on the outcome of another parliamentary vote on the Brexit deal struck by May with EU leaders. May’s divorce deal has already been overwhelmingly rejected twice by MPs. The British government has said it would ask for a “technical” delay until June 30 to pass necessary legislation if MPs finally approve the deal next week. “It is very clear that the next steps, the next proposal on how to move forward must come from Britain,” Steffen Seibert, a spokesman for German Chancellor Angela Merkel, said in Berlin on Friday.